Faith is a class 8 student at Syunguni Primary School. She is expected to sit for her Kenya Certificate of Primary Education (KCPE). This will be Faith’s second time taking her primary school exit exams – she stayed behind in school two years to give her mother some time to raise the adequate funds to pay for her schooling. Though Faith’s plan to stay in school was a noble one, two years down the road, nothing has changed. Faith can’t wait any longer to go to secondary school, and she needs the help of a sponsor to get there. As the head girl of her primary school, Faith oversees a total of 400 students. She tells us that she draws her inspiration as a leader from the great Nelson Mandela. In this spirit, Faith is very involved in her school’s debate club, where she has honed her speaking and critical thinking skills over the years. Back at home, Faith helps her mother with house chores and looking after her younger siblings. Her father abandoned their family when she was young, and Faith understands that she must give her mother a helping hand to ease the weight on her shoulders. 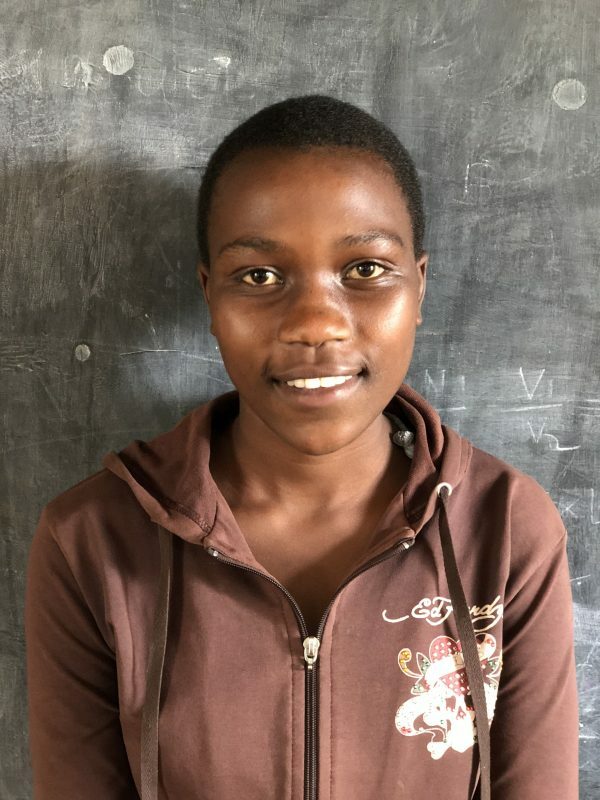 Faith says she is seeking the help of a sponsor to go to secondary school so she can achieve all her educational goals and begin her dream career as a professor at a university. This career, she tells us, will help her to lift her family out of poverty and into a comfortable, happy life. With your support, Faith can achieve all of her dreams and end the cycle of poverty her family has been trapped in for generations. Consider sponsoring Faith’s education today! Sponsoring Faith's secondary education is $85/month. Thank you for sponsoring Just One!